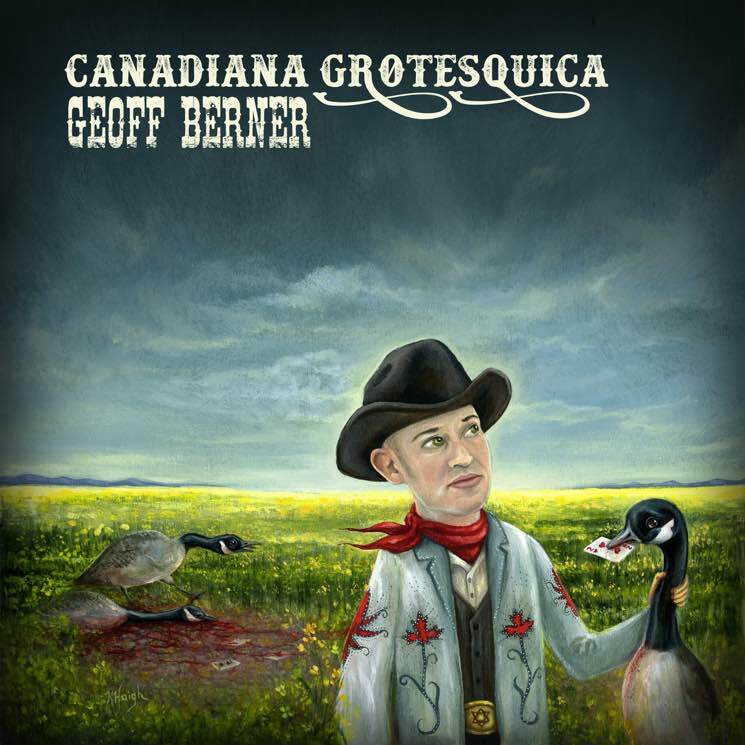 Canadiana Grotesquica, Vancouver songwriter/accordionist and writer Geoff Berner's seventh album, marks a return to a style of music he had more or less set aside (at least on record) in favour of Klezmer since his earliest records. Reminiscent of Jonathan Richman's Jonathan Goes Country, this album could've been called The Whiskey Rabbi Goes Canadiana, Again. Which raises the question, what exactly qualifies as Canadiana? But sonically, Canadiana, as it is revisited here by Berner and producer/multi-instrumentalist Paul Rigby and friends (including longtime collaborators Diona Davies, Ford Pier and Carolyn Mark), sounds sweet, rustic, countrified and yet at the same time, arguably more sophisticated and diverse than most Americana in its borrowing from Klezmer, rock and European folk, which all find their way into the collection. Berner includes some old songs here ("Phony Drawl," an intentionally annoying sendup of Canadian singers who have a tendency to do you know what) and is up to his old tricks — namely, making scathing political points with a side of sarcastic wit, while keeping things danceable (as on "Hustle Advisory," featuring backup vocals by Frazey Ford, and hummable folk-rock highlight "Super Subtle Folk Song," which is of course anything but).